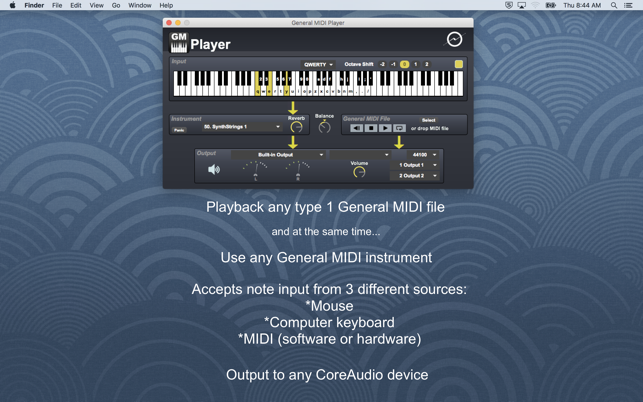 General MIDI Player is an easy way to turn your Mac into an instrument, using its built-in General MIDI support. 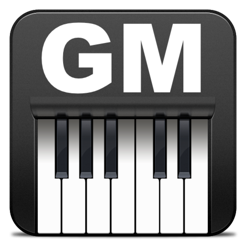 Starting in version 2, it also plays back type 1 General MIDI files! 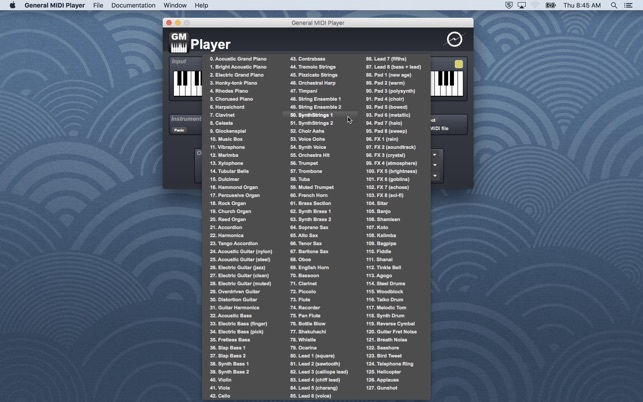 You can play the General MIDI instruments using either your mouse, computer keyboard (including support for non-US keyboards), or MIDI device (both hardware and software MIDI devices supported). 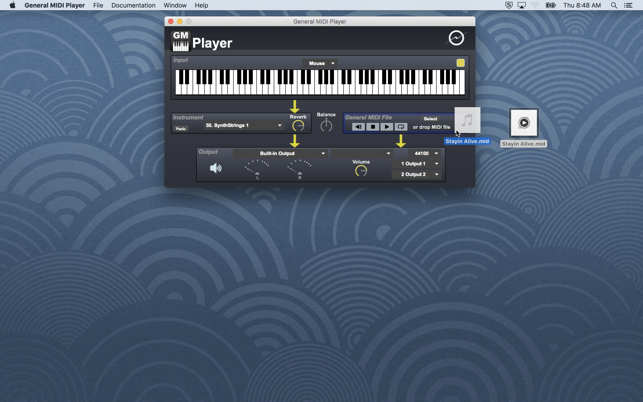 You can even play along yourself while a General MIDI song plays at the same time. It has a simple, one-screen interface, that will let you start making music with your favorite General MIDI instrument in seconds! I was using this with an iRig Keys and it was fine, then today it just stopped working. iRig still works with other software (Logic, Finale) so that's not the issue. Did a restart and a re-install - no luck. Oh well. It did work for a couple of months, anyway. Great app, and responsive developer! It does what it says on the label. And when I requested a new feature (ability to play the drum kit on MIDI channel 10) they implemented it! Yay! my little MIDI keyboard (LPK25) in order to play sounds. you can’t get off the ground, and it’s very frustrating.